You don’t have to be a gardener to know that if you wish to grow healthy plants, you must provide a nourishing environment. If you plant seeds in barren soil, you will yield weak plants; in toxic soil, the plants will die. 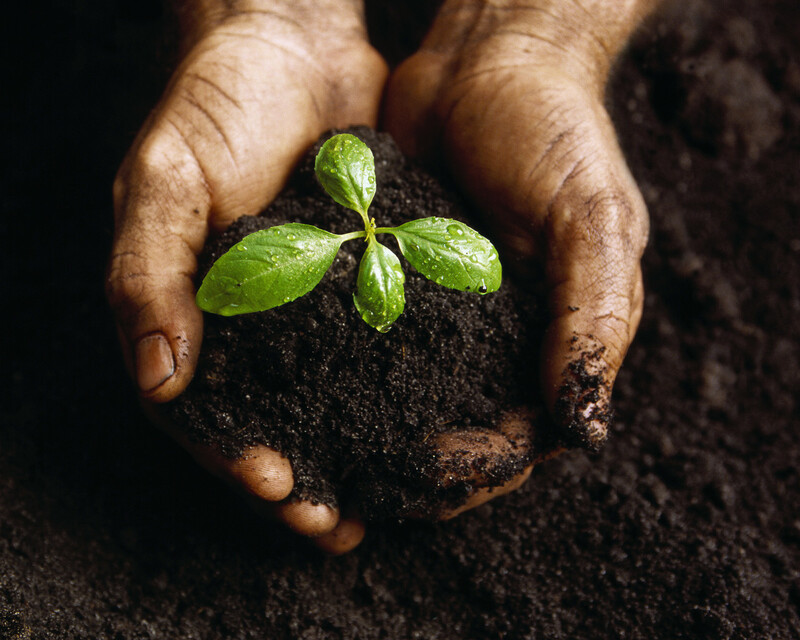 The only way to ensure abundant growth is to plant healthy seeds in soil that is rich. When I initially wrote on the topic of happiness, I described it as an ultimate state of well-being for which all humans tend to strive. Aristotle explained eudaimonia, the state of human flourishing, as the ultimate end sought by all human endeavors; a state that we are only able to reach through rational activity in accordance with that end. In other words, if we wish to reach this end we should engage in activities that will augment our efforts, and avoid activities that will detract from them. Comparable to Abraham Maslow’s theory of self-actualization (reaching full human potential), eudaimonic happiness is a state of being that exceeds mere existence. It is a state of flourishing; thriving. It is the difference between mere existence and true fulfillment. So, what does this have to do with gardening? As indicated above, it is useless to strive for prize-winning plants if the soil you start with isn’t good. Similar to the requirements for growing healthy plants, happiness is something that is actively cultivated. Therefore, anyone who is concerned with living a life of fulfillment should take a good look around themselves to assess whether the “soil” in which they are planted is indeed good. Environment – Barren, toxic, or rich? In barren soil, an environment devoid of nutrients, a plant will struggle to eke out an existence. Though it may grow, it cannot truly thrive. The same is true for us. Living in an environment that lacks life-enriching stimulation can lead to boredom and apathy. Planting seeds in toxic soil puts them in direct contact with poisons and pollutants, which can ultimately kill the plant. A toxic human environment will not only impede our ability to flourish, but can even diminish our ability to exist. Attempting to survive in an abusive, unsanitary, unsafe, or any other type of negative environment can poison (or kill) the body, mind and spirit. I can’t express enough the importance of removing yourself from this type of environment. Rich soil supplies an optimal mix of nutrients, thus an environment conducive to growth. Like plants, human flourishing is dependent upon the environment; it cannot occur in a barren or toxic environment. We should seek to immerse ourselves in an environment rich with growth-stimulating elements that provide opportunities to expand our minds and increase our exposure to peak life experiences. Relationships – Am I growing among weeds? The biggest drawback to having weeds is that they draw essential nutrients away from the roots of the primary plant, robbing it of its vitality. Weeds are relationships that distract us, cause us to settle for less, discourage us from seeking more, or poison us with negativity. If our goal is to flourish, we must consider the people with whom we choose to surround ourselves. We should ask the following questions: Do they encourage me to be my best? Are they also seeking to flourish? Are they critical of me? Do they have a similar value system? And most importantly, do they contribute to the feeling of flourishing . . . or do they detract from it? Activities – Do I actively till the soil? Gardeners know the key to vital growth is to feed the soil which, in turn, will feed the plant. When it comes to well-being, there is no one more responsible for the outcome than ourselves; we must consciously cultivate our environments so that we can focus on this goal. Eudaimonic happiness does not magically or accidentally happen, nor does it happen to us. It occurs as a result of striving toward it. Couch potato activities will not move us toward it, whereas activities such as study/reading, volunteering, and travel will. As we wake each day, we should seek opportunities that allow us to expand our minds, help others, and explore and enjoy the world – the activities of human flourishing. Actively cultivating our environments strengthens the roots of this endeavor. What have you done lately to cultivate your own soil?